Are you looking for a truck in Wisconsin that will make you stand above the rest? We are here to make your quest of finding a unique truck for sale as stress-free as possible at Ewald Chevrolet Buick used car dealership near you. When you are looking for Chevy trucks for sale near you, browse through our selection of online inventory to find the used Chevy trucks in Wisconsin that will meet your needs best. Our quality used Chevy trucks for sale in Wisconsin, and unrivaled customer service makes Ewald Chevrolet Buick’s new and used car dealership near you the perfect destination. Once you find the used Chevy truck for sale that you want to see, get in touch with us here at Ewald Chevrolet Buick. When you want a unique truck, why not come and check out our lifted Chevy trucks for sale in Wisconsin? The lifted Chevy trucks for sale that you find at Ewald Chevrolet Buick will have you cruising down the streets of Wisconsin in style. Like the used 2015 Chevrolet Silverado 1500 LTZ for sale at Ewald Chevrolet Buick used car dealership near you. This used lifted Chevy Silverado truck for sale has a Black Widow custom package and is ready to get back out on the road. Enjoy the many luxury interior features as well. Such as the built-in navigation system, heated leather seats, Bose audio, and much more. Like the heated steering wheel, parking assist, and adjustable pedals. The rear backup camera has color-coded grid lines that make for easy trailer hookup and more in this used Chevy Silverado truck for sale near you. Come and check out this used lifted Chevy Silverado 1500 truck for sale and take it for a test drive down the streets of Wisconsin today. If this used Chevy Silverado 1500 for sale isn’t the vehicle for you, check out one of the many other used Chevy Silverado trucks for sale near you at Ewald’s used car dealership in Wisconsin. The broad range of prices you will find here can help to make your dream of owning a lifted Chevy truck for sale a reality. Let us help you find the right truck within our selection of used Chevy trucks in Wisconsin. We are confident that we have the truck to meet your day to day needs in our inventory of used lifted Chevy trucks for sale near you. When it comes to a used Chevy Silverado 1500 truck for sale, Ewald Chevrolet Buick is the only used car dealership near you that you need. Stop on by your Ewald Chevrolet Buick used car dealership near you for our incredible selection of used Chevy trucks in Wisconsin today. 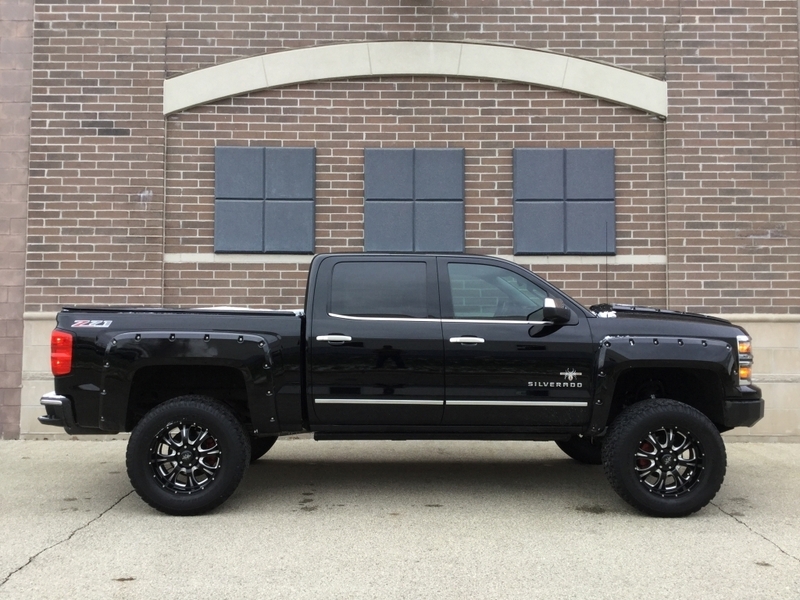 You will find Ewald Chevrolet Buick located at 36833 E Wisconsin Ave in Oconomowoc WI, 53066 to check out our used Chevy lifted trucks for sale near you in person. Or call us with questions or to schedule your test drive at (262) 226-2842.